Consuming an entire platter of sugar cookies before you have time to frost them, sweating profusely beneath your ugly Christmas sweater even though it’s 10 degrees outside, an intense desire to hide in your closet until after the New Year? These are just a few signs that you may be experiencing a debilitating bout of holiday anxiety. In my experience, these less-than joyful moments are often caused by a lack of preparation/slash shortage of time. That’s why whatever I can do ahead of time is like a little gift to myself. Like baking and freezing these sweet quick breads. Try it! When the holidays roll around, you won’t even remember the effort it took, you’ll just be grateful you’ve got these yummies tucked away in your freezer. Serve as a treat or dessert to your family, take to a party, or give as a gift! 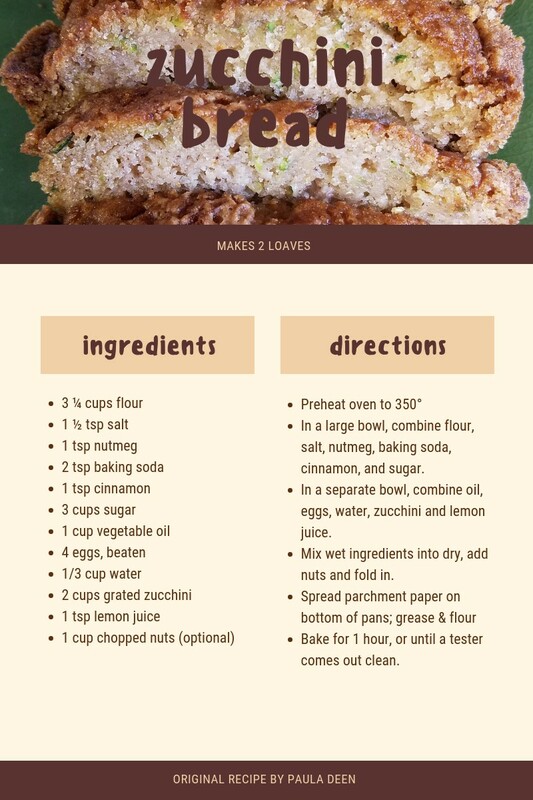 Note: If this quick-bread do-ahead fails to ease your holiday angst to any noticeable degree, you can always substitute bread for cookies in paragraph one. I’m not exaggerating when I say I’ve tried at least ten zucchini bread recipes and tweaks to existing recipes, over the years. This one is by far the best and all the credit goes to one of my favorite celebrity bakers, Paula Deen. The only thing I changed from her original recipe is the addition of parchment paper to the bottom of the pan. No matter how well I grease (or grease and flour) the pan it still sticks without the parchment paper. The only tweak I make here is that I like the brown butter glaze thicker, more like frosting. So, add powdered sugar to your desired consistency. Also, if you’re going to freeze, I think it works better to frost the bread after you remove it from the freezer and let it thaw. You can freeze it with the frosting on it, too, it just won’t look as pretty. 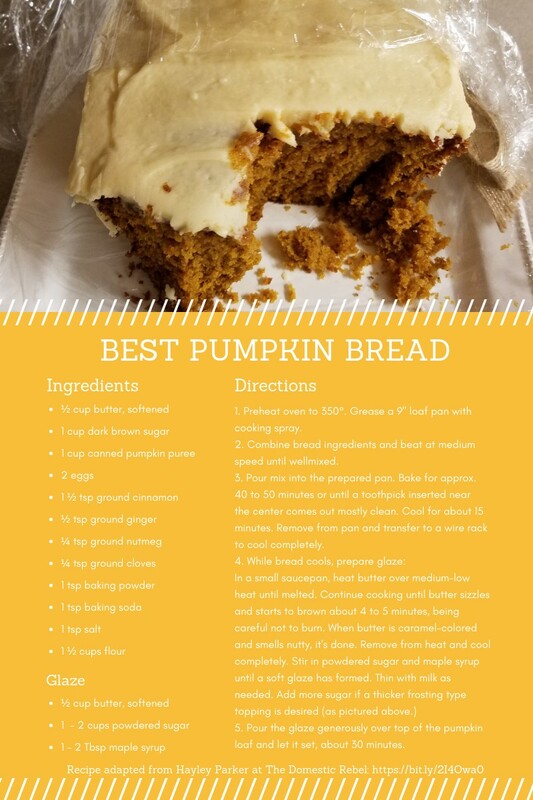 Warning: This pumpkin bread may cause infighting or “theft” in your family. It is that good.